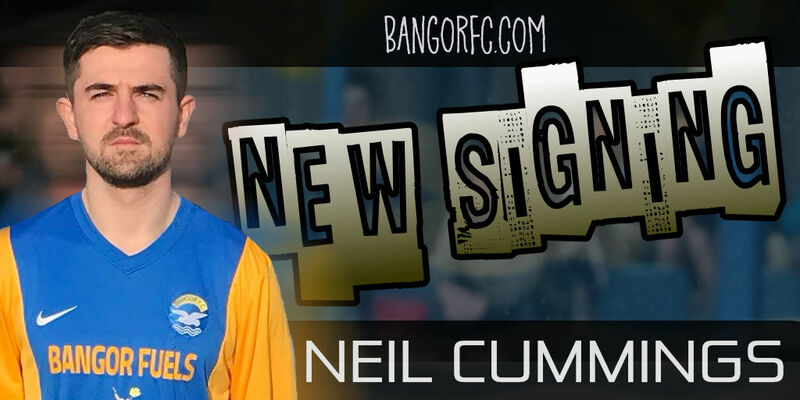 Bangor Football Club are pleased to announce the signing of utility player Neil Cummings. Neil, who hails from Belfast has previously been on the books of Cliftonville. Lately, he has spent some time in the USA playing in the National Premier Soccer League (NPSL) in what is regarded as the 4th tier of the American Soccer Pyramid. In 2016, he captained Memphis City FC and was best known for his tough tackling and no nonsense attitude. Neil can play in either defence or midfield, and should be available for selection in the coming days. Welcome to the club Neil! Bangor ran out 3-0 winners against a strong Glebe Rangers side at the Bangor Fuels Arena this afternoon. Jordan Lucas finished well following good work from Chris Getty & Andy Long in the 34th minute. Ethan Boylan doubled Bangor's lead from the penalty spot in the 82nd minute after Jordan Lucas had been scythed down in the area. Boylan added to Bangor's tally three minutes later when he latched on to a great Jordan Lucas pass and drilled the ball low into the corner of the net. It was with great sadness that we learned of the passing of Bangor supporter Drew Menown earlier today. Drew was a lifelong Bangor supporter, a member of the Clandeboye Bangor Supporters Club and a familiar face to many around the club. A minute's silence was held before kick off today in Drew's memory. Bangor will host F.C. Whiteabbey in the 2nd Round of the Crawford Cup on Saturday, 13th January 2018. Please note the early kick off time: 1:30pm. Bangor return to action on Saturday afternoon with an important league fixture against Glebe Rangers at the Bangor Fuels Arena. Match kick off 2:00pm. A big thank you to our match sponsor:- The Keyboard Warriors and our ball sponsor Ken Kelly. In other fixture news, our postponed league game against Brantwood at Skegoneill Avenue has now been re-scheduled for Saturday, 6th January 2018, 2:00pm kick off. 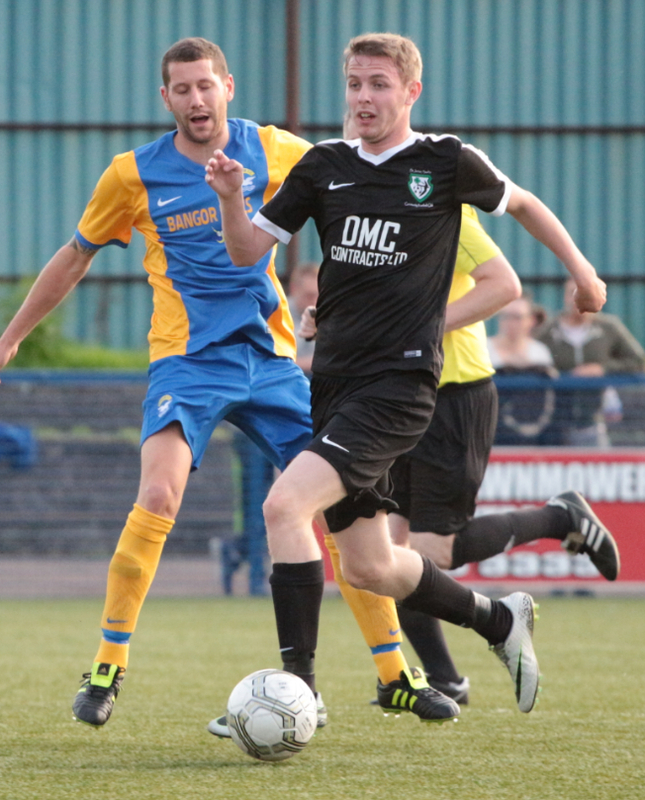 Striker Kyle Woods has left the Seasiders to join Shankill United. Kyle scored six goals for Bangor in his short time at the club, including a spectacular effort against Sofia Farmer in the McReynolds Cup. We wish Kyle well on his move. Bangor F.C. is pleased to announce the appointment of Ivor McGucken as Commercial Manager. Ivor has a wealth of knowledge and experience in this field, having held this position with a number of Irish League clubs. Ivor has also previously played, coached and managed Bangor. He would be keen to hear from supporters who may know of any sponsorship or advertising opportunities to raise funds for the Club. Ivor can be contacted directly on his mobile at: 07889130260. Bangor turned on the style at the Bangor Fuels Arena this afternoon, racking up four goals without reply against Coagh United. Dale Patton opened the scoring in the 11th minute when he took advantage of a defensive mix up to fire low into the corner of the net past Hassan. The Seasiders always looked to be on top, but had to wait until the 67th minute for their second. Winger Gerard McMullan cut in from the left to unleash a thunderous strike from the edge of the area that crashed in off the underside of the crossbar. Top scorer Ethan Boylan bundled in number three in the 72nd minute following great work from substitute Jordan Lucas on the right. Defender Gareth Beattie completed the rout in the closing minutes with a spectacular strike that dipped over Hassan's head and into the net. Bangor's game against Brantwood which had been scheduled for Saturday afternoon has been postponed as a result of the heavy snow and icey conditions in North Belfast on Friday afternoon. A new date for this fixture has yet to be decided. 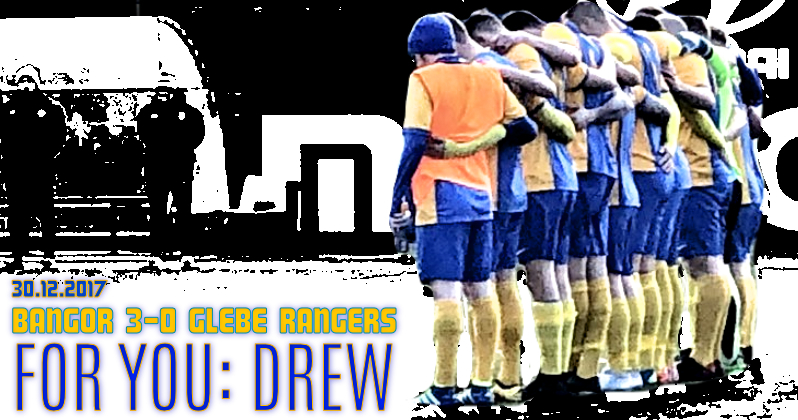 On a brighter note, the Seasiders have added another match to their festive fixture list, a home tie against Glebe Rangers on Saturday, 30th December (2:00pm). 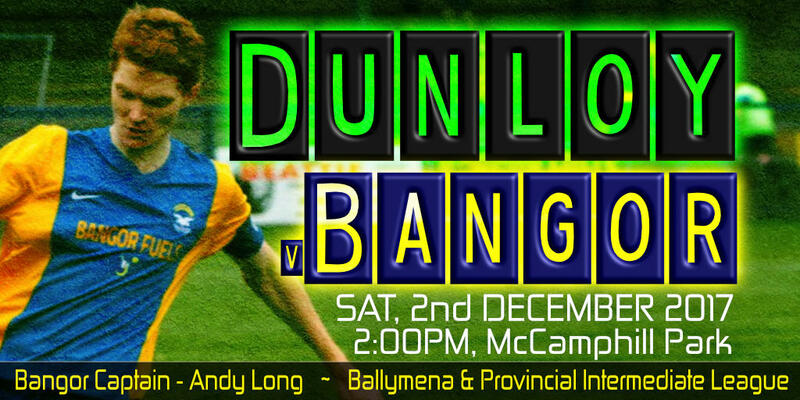 Bangor came away from Dunloy with a point in an entertaining 2-2 draw at McCamphill Park this afternoon. Dunloy took an early lead when a free-kick from the right was glanced home past Gibbons. Mark Magennis got Bangor back on level terms after 22 minutes with a well placed low strike into the corner of the net. Dunloy regained the lead 5 minutes later when a shot from the edge of the penalty area came down off the crossbar and into the Bangor net. Bangor started the second half brightly and finally found their way to goal in the 58th minute when a low drive from Karl Rossborough rebounded off the upright and landed kindly for Dale Patton, who made no mistake from a few yards out. The Seasiders pushed forward in search of a winner in the closing stages, but couldn't find a way through a resilient Dunloy defence. The Seasiders have aranged two more League fixtures for December. First up, on Saturday 9th December we travel to Skegoneill Avenue to play Brantwood. The following Saturday (16th), we host title challenging Coagh United at the Bangor Fuels Arena. Late equalisers were the order of the day in our last meetings with both the Brants and Coagh United. Substitute Michael Edgar rescued a point for the Seasiders in a 2-2 draw with Brantwood at the Bangor Fuels Arena back in August while Ethan Boylan came up with the late goal in a 1-1 draw with Coagh at Hagan Park back in October. Match kick-off for both matches is 2:00pm. 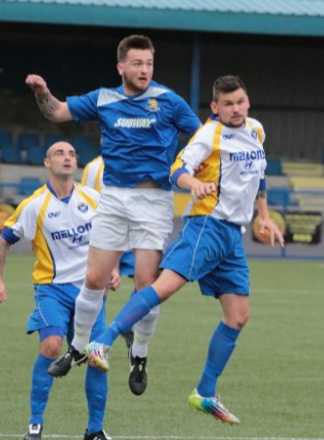 Departing the Bangor Fuels Arena this week is defender Dean Justin who has joined Bangor Amateurs. We wish Dean well on his move and thank him for his efforts in a Bangor shirt. Congratulations to defender Gareth Beattie who picked up the Wolsey's Player of the Month Award for some excellent performances in October. Bangor ran out 5-1 winners over Newtowne at the Bangor Fuels Arena this afternoon. Gerard McMullan(2), Andy Long(2) and Dale Patton were all on target for the Seasiders. Gerard McMullan gave the Seasiders the lead after 30 minutes when he latched on to the end of a deep crossfield ball from Mark Magennis. Andy Long doubled Bangor's lead seven minutes in to the second half when he flicked in a Gerard McMullan cross from close range. Gerard McMullan slotted home Bangor's third in the 66th minute, before free scoring Andy Long headed in the fourth a few minutes later. Newtowne rallied and Morrison pulled one back for the visitors in the 82nd minute. The industrious Dale Patton was rewarded for his efforts in injury-time when he bustled his way though the Newtowne defence to loft the ball over the keeper and into the net for Bangor's fifth. Bangor are back in action on Saturday when Newtowne are the visitors to the Bangor Fuels Arena.Match kick off is 2:00pm. The following Saturday, we travel to McCamphill Park to take on Dunloy in another league fixture. Once again, the match kick-off time is 2:00pm. Bangor ran out comfortable 4-0 winners at Mossley Park, Carnmoney this afternoon. The Seasiders dominated play from the off and it was no surprise when Ethan Boylan gave Bangor the lead on 14 minutes when he glanced in Karl Rossborough's free-kick from the left. Ballynure's chances were hampered in the 33rd minute when midfielder Simon Magowan was dismissed for a rash challenge in midfield - his second yellow card. Captain Andy Long headed in an Ethan Boylan cross from the right on 43 minutes to give Bangor a 2-0 lead at the break. A well placed 25 yard strike from Jack Wasson on 53 minutes made it 3-0 to Bangor. 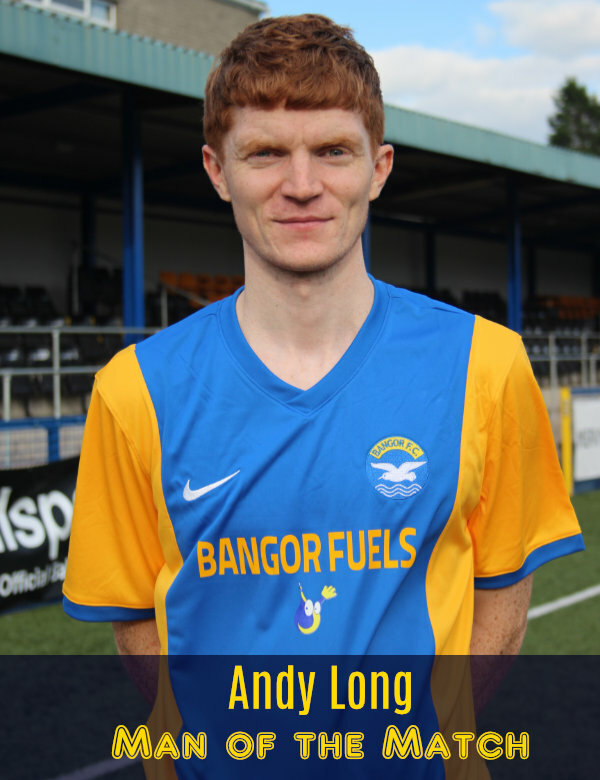 Andy Long completed the rout in the 67th minute with a curling shot from just inside the penalty area. Bangor Football Club are holding a FUNdraising Quiz and Ballot in the BFC Social Club next Thursday evening. 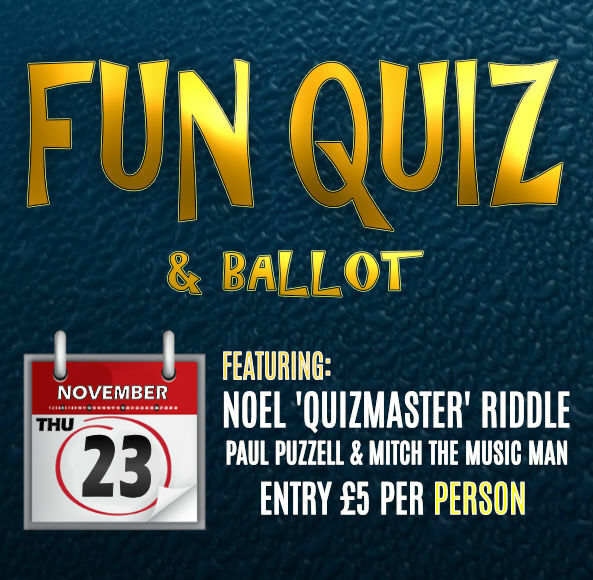 Your host for the evening will be 'Noel The Quizmaster Riddle'. Noel will be aided by co-hosts Paul Puzzle and Mitch the Music Man. Entry is £5 per person, with nibbles included in the price. The fun starts at 8:00pm. Contact: 07980149257 for further information. Please feel free to come along and take part! A big thank you to our new tracksuit sponsors Betty Blacks. 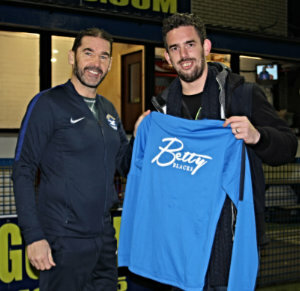 Michael Brennan from Betty Blacks is pictured left presenting the new tracksuits to Bangor manager Hugh Sinclair. Bangor return to league action on Saturday when they travel to play Ballynure Old Boys at Mossley Park. Match kick off is at 2:00pm. The Clandeboye BFC Supporters Club Bus leaves the Bangor Fuels Arena at 1:00pm. On Saturday 25th November, the Seasiders will welcome Newtowne to the Bangor Fuels Arena in a newly arranged League fixture. Match kick off is 2:00pm. Bangor crashed out of the Steel & Sons Cup on Saturday afternoon at Mill Street in disappointing fashion. A 65th minute header from Pat McCafferty was enough to put Crumlin United through to the semi-final stage where they will face Newington YC. The Seasiders started the game in a lively fashion, with Abby Sanusi providing the main goal threat for Bangor. Injury forced Sanusi off the the pitch before half-time. Bangor struggled to get to grips with the game in the second half and chances were at a premium at both ends. Crumlin's goal came in the 65th minute when Darren Gibbons parried a corner kick onto the head of McCafferty at the back post. Johnny Bowers came closest for Bangor in the 77th minute when his whipped 30 yard free kick glanced the Crumlin upright. 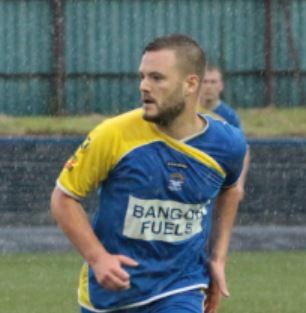 Bangor's misery was compounded in injury time when Johnny Bowers received his second yellow card of the day for pushing an opponent while trying to take a free-kick. We're pleased to welcome One Step Insulation (OneStepInsulation.co.uk) as the new sponsor of our training kit. 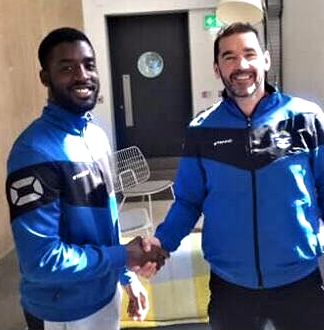 Best wishes to striker Dwaine Beattie who has joined 1st Bangor. 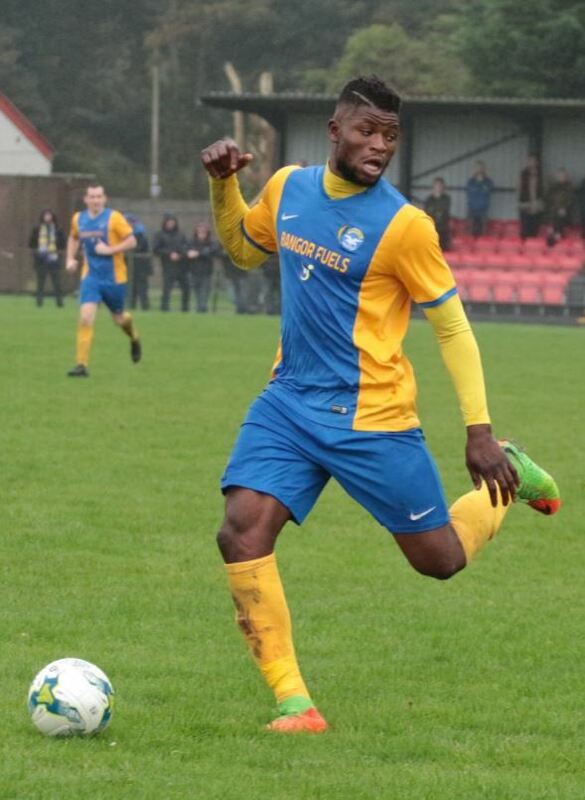 Dwaine scored twice for us this season - one in the nine goal victory over Kilmore Rec. and the winning goal in the 2-1 victory over Cliftonville Olympic in the Steel & Sons Cup. We wish him every success in the future. 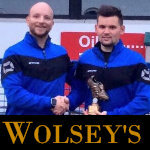 Congratulations to goalkeeper Darren Gibbons who has picked up the Wolsey's Player of the Month Award for October. Bangor moved up to second place in the Ballymena & Provincial Intermediate League this afternoon with a resounding 4-0 win over Desertmartin at Dromore Park. Bangor went ahead in the 42nd minute when Karl Rossborough's efforts were rewarded when Desertmartin's Neal Smyth put through his own goal. The Seasiders doubled their lead in the 52nd minute when Gerard McMullan rounded the keeper to slot home. Substitutes Kyle Woods and Dale Patton both found the net in the closing stages. 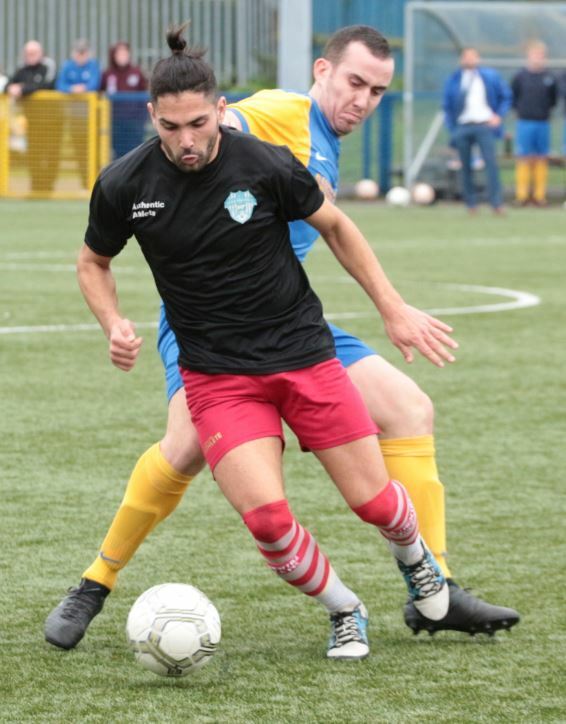 Bangor missed out on the chance to go top of the Ballymena & Provincial Intermediate League on Saturday afternoon, losing 2-0 Sofia Farmer at the Bangor Fuels Arena. The Seasiders struggled to find a foothold in the game and fell behind in the 9th minute when bustling striker Tiago Jesus broke through the Bangor defence and slotted the ball past Darren Gibbons. Chances at the other end were at a premium - Mark Magennis came closest with a 15 yard volley that went over the bar. As Bangor pushed for an equalizer in the second half, they found themselves caught out at the back once again. The impressive Milton Silva struck Sofia's second goal in the 82nd minute. The game ended in controversial circumstances when a Sofia official was dismissed following an unsavoury incident on the pitch. Saturday's win sees Sofia Farmer go top of the BAPIL. Bangor remain in 3rd place. A big thank you to everyone who supported the Camel Racing event in the Bangor FC Social Club last night. It was a great success! Congratulations to Geoff Martin - the winner of the first Friends of Bangor Quarterly Draw. Bangor dropped out of the Intermediate Cup at the first hurdle, losing 4-5 on penalty kicks to Carrick Rangers Reserves at the Bangor Fuels Arena this afternoon. Carrick took the lead in the 26th minute when Fra Rice rolled the ball into an empty net after a moment of hesitation in the Bangor defence. Bangor had to wait until the 57th minute for their equalizer - Mark Magennis putting in a perfect cross from the left to give Kyle Woods an easy chance to nod in. Both sides were reduced to 10 men in the second half, Larmour for Carrick (straight red) and Ethan Boylan for Bangor (second yellow). The stalemate continued throughout extra-time and the game headed for penalty kicks. Carrick scored all their spot kicks in the shoot-out, while Keith Armstrong was the unfortunate Bangor player to fire his shot just over the bar. Atkinson, Magennis, Bowers and Sanusi were all on target for the Seasiders. Many thanks to our match sponsor: Billy Palmer and ball sponsors: Billy & David Millar. Bangor FC Social Club is the venue for a Night at the Camel Races next Saturday evening (7:30pm). Tickets are priced £5 and are still available from club officials. Bangor climbed to third in the league table with a hard fought 7-0 win over Chimney Corner at Allen Park this afternoon. Ethan Boylan scored the only goal of a scrappy first half in the second minute, heading home a deep cross from the right. Darren Gibbons was called into action on either side of half-time, first saving yet another penalty kick and then clawing away a deflected 20 yard free kick. The introduction of substitute Abby Sanusi after an hour changed the whole shape of the game. Boylan added goals number two and three to complete his hat-trick soon after Sanusi's introduction, and Sanusi himself added the fourth. With Chimney Corner's captain dismissed for handling a goalbound effort on the line, substitute Keith Armstrong swept home Bangor's fifth goal of the day from the penalty spot. In a frantic final five minutes, striker Kyle Woods chipped in with a well-earned sixth and Neil Graham fired in from close range to complete the scoring. A comfortable win for Bangor in the end on a day where all three Bangor subs got on the scoresheet, Ethan Boylan scored a perfect hat-trick and Darren Gibbons saved yet another penalty! OTHER RESULTS: Desermartin 2-1 Ballynure O.B. Bangor v Carrick Rangers Reserves , Saturday 21st October. A late strike from substitute Ethan Boylan rescued a valuable point for the Seasiders at Hagan Park this afternoon. Chimney Corner v Bangor , Saturday 14th October. A much changed Bangor line-up lost out in a five goal thriller to a well equipped Sofia Farmer side at the Bangor Fuels Arena this afternoon. The Seasiders gave themselves a mountain to climb in the first half, falling behind to goals from Jesus and Correla. The Seasiders managed to turn things round in the second half. A stunning strike from Kyle Woods (51' - Video coming soon!) and a cool finish from Mark Magennis (75') brought Bangor back on to level terms. Bangor's joy proved to be short-lived, as Correla set up Jesus to slot home the winner in the 77th minute. Bangor have been drawn away to Crumlin United in the Quarter Final of the Toals Steel & Sons Cup. The match will be played on Saturday, 28th October. Coagh United v Bangor , Saturday 7th October, 2:00pm, Hagan Park. 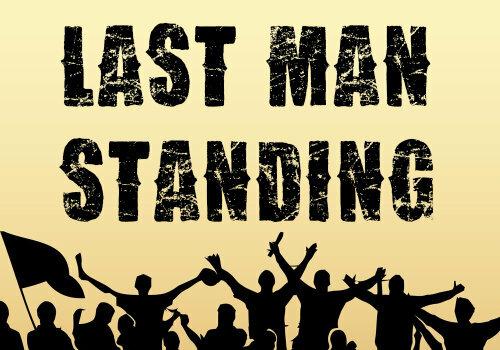 The closing date for the Bangor FC LAST MAN STANDING Competition is fast approaching, but you still have time to complete your entry to be in a chance of winning the top prize in a fund that is currently worth in excess of £200. Bangor v Sofia Farmer , Saturday 30th September, 2:00pm, Bangor Fuels Arena. The draw for the first round of the Intermediate Cup was made earlier this evening and the Seasiders have been handed a home tie against Carrick Rangers Reserves. The fixture is scheduled for Saturday, 21st October. Kick Off time to be confirmed. Bangor will play Coagh United at Hagan Park in a League fixture on Saturday, 7th October. The kick-off time is 2:00pm. Bangor made it through to the quarter final stage of the Toals Steel & Sons Cup this afternoon with a 2-1 win over Albert Foundry at the Bangor Fuels Arena. Both sides struggled with the blustery conditions in a largely uneventful first half. However, in the dying seconds of first half injury time, Keith Armstrong put the Seasiders ahead from the penalty spot after he had been tripped in the area. Bangor's lead lasted just a couple of minutes into the second half - Foundry's Marcus Beattie smashed the ball home from the penalty spot. Bangor conceded another penalty just before the hour mark, but this time Darren Gibbons managed to dive at full stretch to push the ball round the post and away to safety. The Seasiders were reduced to 10 men soon after when Jordan Lucas was given a straight red for a rash reaction to a tackle. Despite being down to 10 men, Bangor took the lead in the 67th minute. Captain Andy Long found himself space behind the Foundry defence and made no mistake as he smashed the ball into the top corner from 15 yards. Foundry pressed Bangor in the closing stages, but the Seasiders defence stood firm. 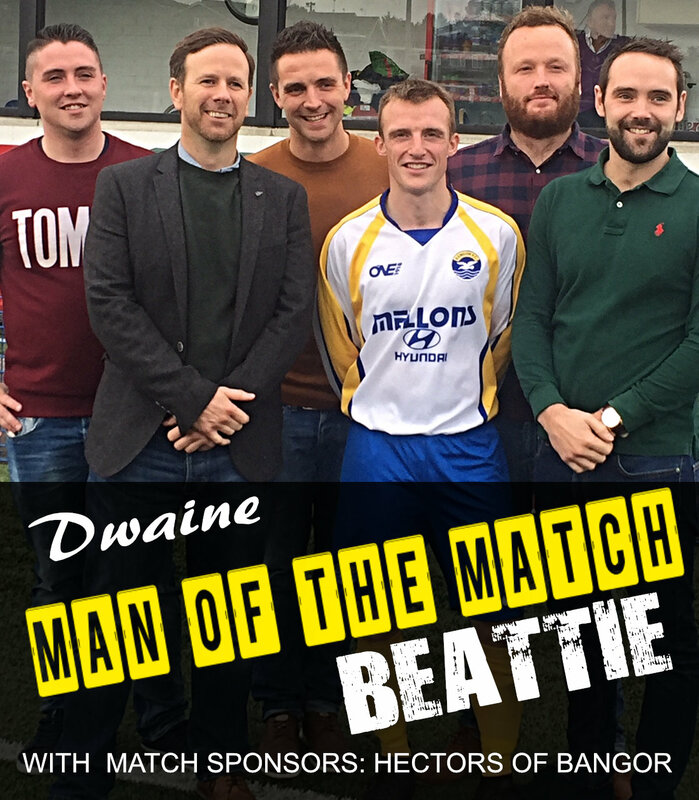 MAN OF THE MATCH: Dwaine Beattie - a fine second half performance. We are pleased to announce that all tickets for Saturday's pre-match lunch with Hugh Sinclair have now been sold. Many thanks for supporting this event, we hope you all enjoy the day! Many thanks also to Hectors of Bangor and Alderman Wesley Irvine who are the match and ball sponsors for Saturday's game against Albert Foundry. Bangor will play Sofia Farmer in the first round of the McReynolds Cup on Saturday, 30th September at the Bangor Fuels Arena. Match kick-off 2:00pm. Saturday's Ballymena & Provincial League fixtures are: Dunloy v. Chimney Corner, Desertmartin P-P Brantwood, Ballynure O.B. v. Coagh United. Bangor v Albert Foundry , Saturday 23rd September, 2:30pm, Bangor Fuels Arena. Bangor recorded a 3-0 league win over Cookstown RBL at a rainy Beechway Playing Fields this afternoon. The Seasiders dominated much of the first half, which saw both Niall Atkinson and Abby Sanusi go close from set pieces. The effervescent Gerard McMullan eventually opened the scoring for the Seasiders in the 25th minute with a headed goal from a deep Chris Getty cross. Bangor doubled their lead early in the second half when an unfortunate Cookstown defender headed past his own keeper. Bangor continued to press Cookstown throughout a second half which saw Niall Atkinson strike the Cookstown woodwork for a second time. Niall's hard work was rewarded in the 63rd minute when he made it 3-0 with a delightful lob from distance. 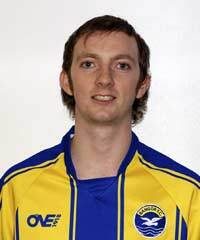 BangorFC.com Man of the Match: Sammy Devine - a commanding midfield performance. Happy 8th birthday to Bangor supporter Max Watson! Bangor FC will host a 'Manager’s Lunch' on Saturday, 23rd September, giving supporters the opportunity to discuss football with manager Hugh Sinclair. The event will provide fans with a chance to meet Hugh, understand his footballing philosophy and his goals for the season ahead. Bangor FC Chairman Nicky Davidson said: "The Manager’s Lunch is great news for Bangor supporters. It offers fans the opportunity to listen to Hugh talk about his ideas for the team, details about his recent signings and his strategy for the 2017/18 season. "There will also be a Q&A session, allowing fans the chance to quiz Hugh about footballing issues and the how the season has started." The event is on Saturday, 23rd September in the Clubhouse Viewing Lounge, prior to the Steel and Sons fourth round cup tie. The event will start at 11:30am, with lunch served around 12:30. Tickets are limited and will be available on a 'first-come, first-served' basis. If supporters would like to reserve a ticket, they can contact the club at media@bangorfc.com, via twitter/facebook or speak to any Board member. Tickets will also be available at the Cookstown RBL match. Tickets are priced as follows: £15 for adults, £5 for children and includes lunch and entry into the fourth round Steel and Sons cup match. Bangor will play Albert Foundry at the Bangor Fuels Arena in the 4th Round of the Toals Bookmakers Steel & Sons Cup. The match will be played on Saturday 23rd September. In tonight's cup draws, Bangor have landed a home fixture against Sofia Farmer in the O'Gorman Cup and another home fixture against Ballynure Old Boys in the McReynolds Cup. The dates for both matches have yet to be arranged. Bangor progressed in to the 4th Round of the Steel & Sons Cup on Friday evening with a 2-1 victory over Cliftonville Olympic at Solitude. Both sides hit the woodwork in a scoreless first half - Niall Atkinson going close for the Seasiders with a dipping 25 yard strike. The deadlock was broken just before the hour mark when the mercurial Mark Magennis got onto the end of an audacious Johnny Bowers 25 yard free kick to scramble the ball home. Bangor doubled their lead in the 83rd minute when substitute Dwaine Beattie stole in at the near post to flick in a Mark Magennis corner. Cliftonville's injury time consolation goal came with only seconds remaining and denied Bangor their third clean sheet in a row. 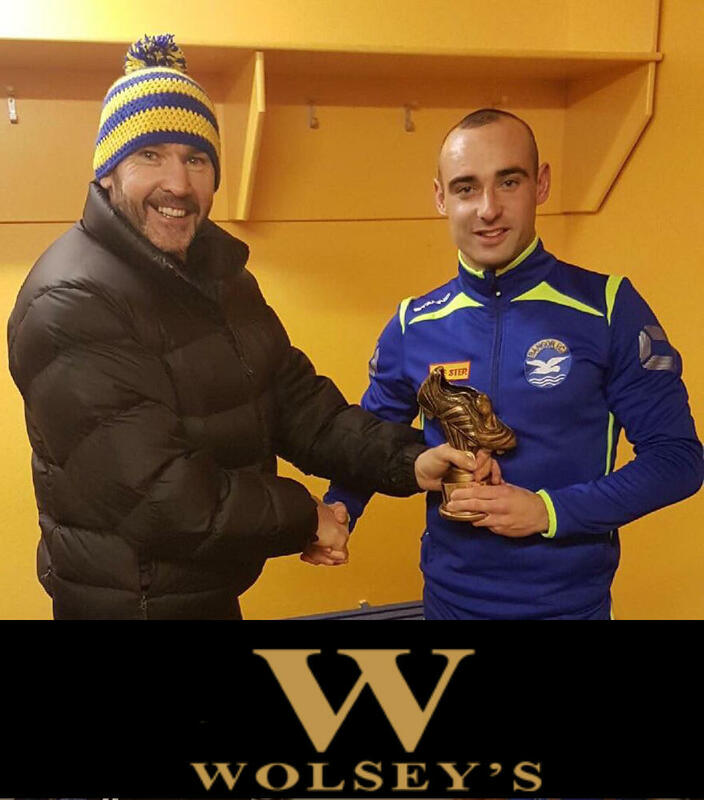 With a towering performance at the heart of the Bangor defence, Chris Getty is awarded the BangorFC.com Man of the Match. 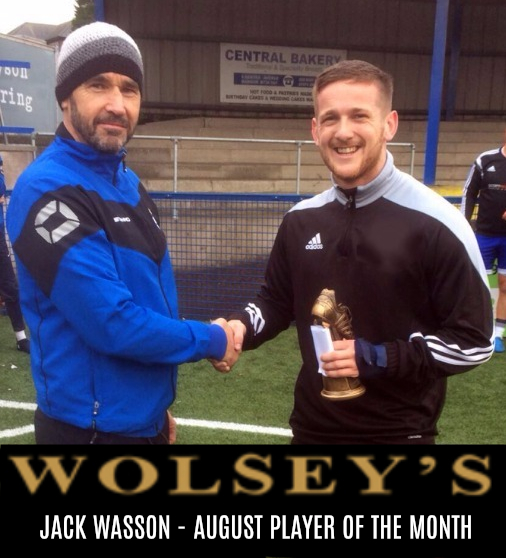 Congratulations to Jack Wasson who has been awarded the Wolsey's Player of the Month for his tenacious performances in August. Bangor are back in action on Friday evening when they take on Cliftonville Olympic at Solitude. Match kick off is 7:45pm. The supporters club bus leaves the Bangor Fuels Arena at 7:00pm - everyone welcome. Bangor's next league fixture will be on Saturday 16th September away to Cookstown RBL. The match will take place at Beechway PF, Coagh Street, Cookstown. Kick-Off 2:00pm. 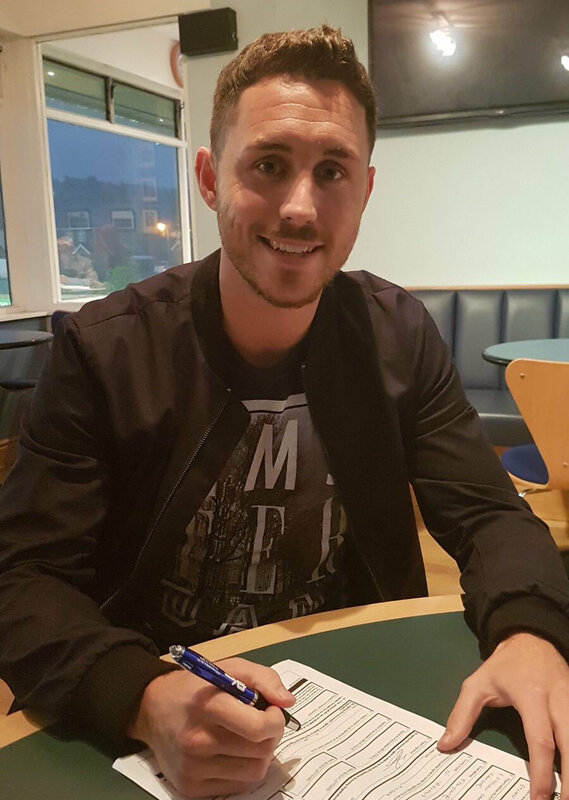 Midfielder Dillon Turnbull has joined 1st Bangor. We wish him well on his move. 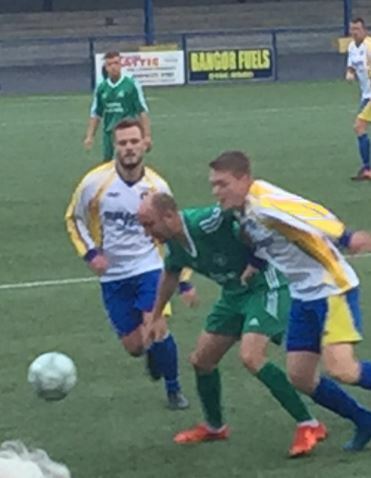 Bangor recorded a 4-0 win over Ballynure Old Boys at the Bangor Fuels Arena this afternoon. The effervescent Gerard McMullan marked his return to the Seaside with a goal on 13 minutes - a fine individual effort. Ethan Boylan had tapped in from close range to double Bangor's lead before Darren Gibbons was called into action to make a fantastic double save from a Ballynure penalty. Boylan then bagged his second of the game within a minute to put Bangor 3 up at the break. Keith Armstrong had completed the scoring on 53' from the penalty spot before Ballynure's Chris McIlwaine received his marching orders on the hour. A big thank you to Northern Ireland striker Josh Magennis for dropping in to the Bangor Fuels Arena to catch the Seasiders in action on Saturday afternoon. Josh had just returned from San Marino where he had bagged a couple of goals for Northern Ireland on Friday night. Josh took plenty of time out to pose for photos and sign autographs for fans. Best of luck on Monday night Josh! PREDICT THE SCORE IS BACK! After a long absence the Bangor FC Predict The Score competition is back! 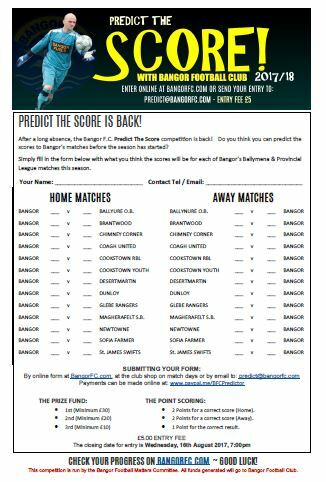 Do you think you can predict the score of Bangor's league matches throughout the season? Cash prizes are available and it's only £5 to enter. The prize fund will increase as more people enter. You can enter online >> HERE << OR you can download and return THIS FORM. Full details are available on our PREDICT THE SCORE page. Get your form in before it's too late (The closing date is Wednesday 16th August). Eddie Williamson and Kyle Woods were on the scoresheet as the Seasiders racked up six second half goals against Groomsport at The Meadow this evening. Bangor FC has appointed former director Billy Palmer as the new club president. Billy succeeds the previous president Gifford McConkey, who sadly died during the past year and is greatly missed. 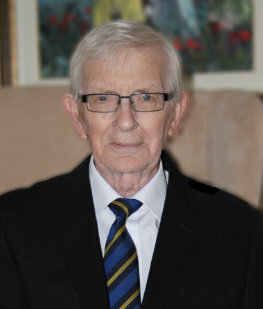 Billy, a Bangor fan since his school days, was appointed as a board member in 1989, a post he served for over 28 years. Billy has also been involved in many roles with the club as a supporter, committee member and volunteer. Although, many Bangor fans will know Billy from his role on the turnstiles, where he would greet fans with his genial enthusiasm and dry wit every match day. 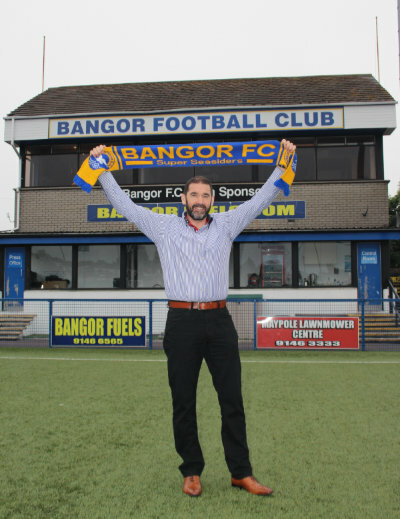 Billy Palmer said: "I am really pleased to have been appointed as the Bangor FC president. It is an honour for me and I am delighted for me and my family. It is the pinnacle of my career at the football club." Bangor FC chairman Nicky Davidson said: "Billy's loyalty, commitment and dedication to Bangor FC over the past decades have earned him the highest respect from his colleagues, peers and many friends at the club. "Billy is a hugely popular figure at the club and his appointment as president is reward for the time and effort he has put in as a fan, volunteer and member of the board. We all congratulate Billy on becoming president, the highest position to hold at Bangor FC." 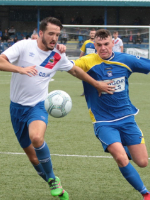 A late goal from Niall Atkinson gave Bangor a pre-season victory over Crumlin Star at the Bangor Fuels Arena on Tuesday evening. The Belfast side, who won the Premier Division of the Amateur League last season, provided a good barometer to gauge the new-look Seasiders as they continue their preparations for life in the Ballymena Provincial League. A big THANK YOU once again to 11-year-old Joshua for providing us with match video highlights! A bumper crowd poured into the Bangor Fuels Arena on Saturday to see reigning NIFL Champions Linfield get the better of Bangor. An 11th minute Aaron Burns penalty was added to by Cameron Stewart in the 22nd minute to give Linfield a half time lead.Reece Glendenning scored the third from close range while Aaron Burns slotted home the fourth of the day in the last minute. Many thanks to Joshua Greer for supplying us with match video highlights from Saturday!. Bangor FC will postpone the introduction of a reserve team until 2018/19 season. The decision was made following discussions between the Bangor FC board and management team. 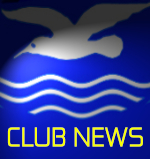 Bangor FC chairman Nicky Davidson said: "We have decided to postpone a reserve team until next season. This is because of financial restrictions we've encountered since taking charge, coupled with player issues. Many of our U20s had already departed the club before we had even arrived." "Hugh and his management team agree that we need to be focussing on first team issues to ensure we only spend one season in the Ballymena Intermediate League. However, we plan to introduce a reserve team from 2018/19." Nicky concluded: "Thank you to everyone who took the time and effort to apply for the reserve team manager position. We appreciate the application and will keep it on file until next season." 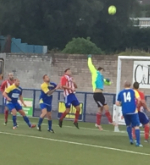 Bangor kicked off their pre-season list of fixtures with a 4-1 win over Lower Shankill at the Bangor Fuels Arena tonight. Prior to the match there was a minute's silence in memory of Castle Juniors coach Gavin Moore. Niall Atkinson (pictured left) scored the opener for the Seasiders. Bangor will play the NIFL Premiership Champions LINFIELD in a pre-season friendly on Saturday at the Bangor Fuels Arena. Match kick off is 2:00pm and admission prices will be £5 Adult, £3 OAP, Under 16s - free. We look forward to seeing you all there! We are please to welcome three more players back to Bangor for the 2017/18 season. 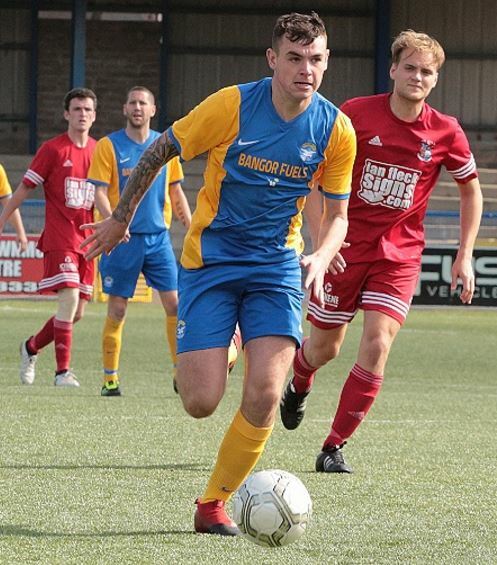 Midfield dynamo Keith Armstrong returns for another season at the Bangor Fuels Arena, while former players Eddie Williamson and Johnny Bowers have also re-joined the Seasiders. 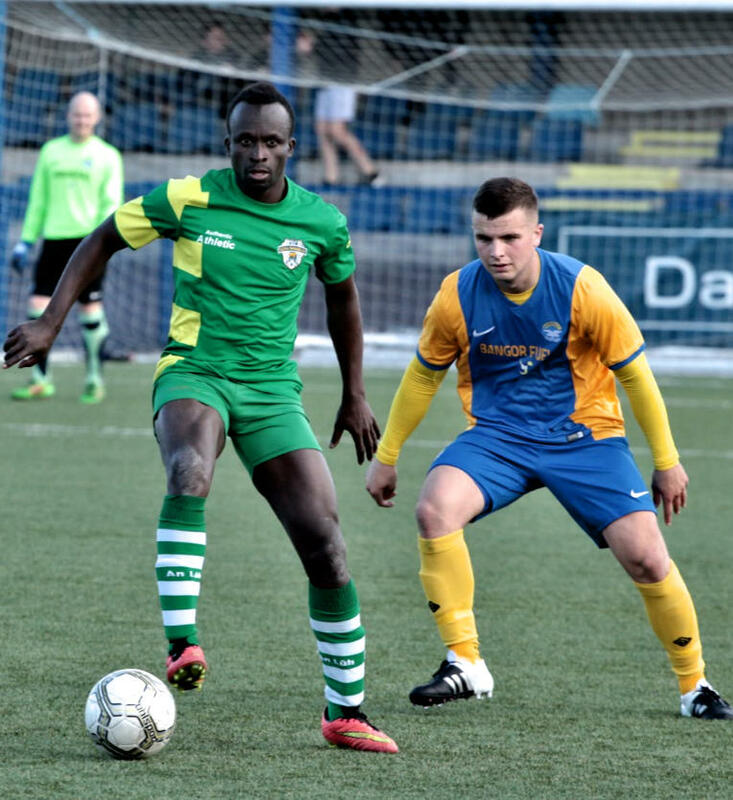 Eddie is an attacking midfielder who has been with Knockbreda and Shankill United since his last spell at Bangor. 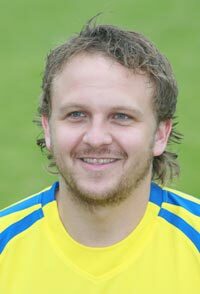 Johnny, who was part of the 2011/12 Steel and Sons Cup winning side re-joins the Seasiders from H&mp;W Welders. All of these players have been added to our new player sponsorship page where you can sponsor a player for £75. Bangor will play Crumlin Star on Tues, 25th July at the Bangor Fuels Arena (8:00pm) in a pre-season friendly and will travel to Ballywalter to play Ballywalter Rec.on Sat, 5th August (3:00pm). The previously announced pre-season games against Comber Rec. & Abbey Villa have now been cancelled. Bangor Football Club are pleased to announce that Ross Craig, Kyle Woods and Michael Edgar will be staying with the Seasiders for the 2017/18 season. We also welcome 'free scoring' Neil Graham(Derriaghy CC) and Robert Robinson (Albert Foundry) to the club. BangorFC.com will soon be launching a sponsorship page where you will have the opportunity to sponsor one of the Bangor players. 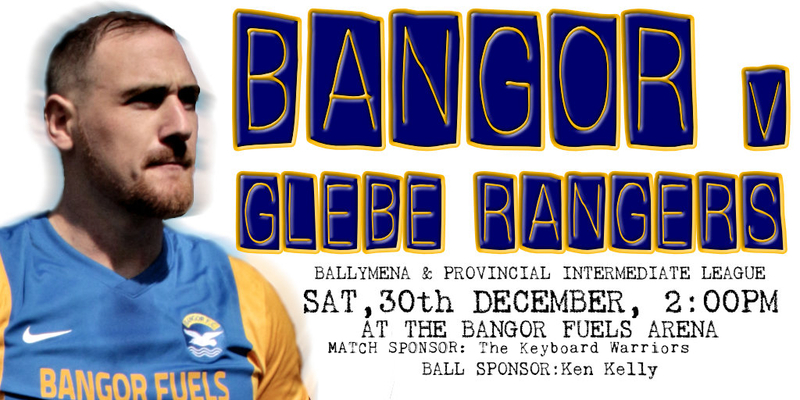 Meanwhile, you can contact sponsor@bangorfc.com for further information. The fixture list for the start of the 2017/18 season is beginning to take shape. Please check this website & our social media channels for details of any fixture changes. These fixtures are subject to change. Central midfielder Niall Atkinson has agreed terms and will play for Bangor next season. Bangor Football Club are inviting applications for the role of Reserve Team Manager. Bangor Reserves will compete in the Ballymena Provincial Junior League structure this coming season. Applicants should have previous football management experience and be enthusiastic as the club looks to rebuild. Those interested in the role should forward their name and contact details to the club through our Facebook page. 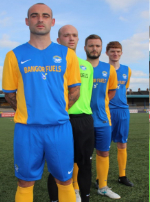 We are delighted to announce that BANGOR FUELS have agreed to extend their sponsorship of Bangor Football Club by another year. Top scorer Dwaine Beattie has committed to the Seasiders for season 2017/18. 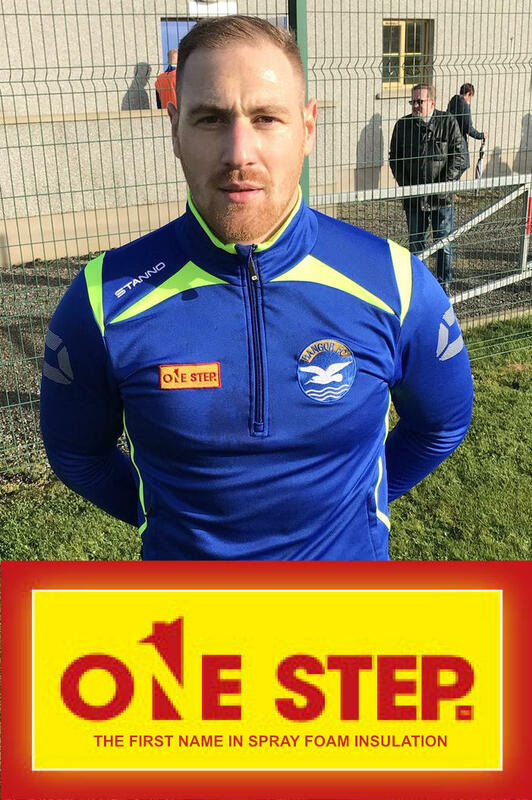 Bangor manager Hugh Sinclair has added another experienced head to his squad by agreeing terms with 34 year old former Donegal Celtic, Knockbreda and Larne defender Michael McClean. Welcome to Bangor Michael! With only a matter of weeks until the start of the new season, tomorrow marks the return of pre-season training for the Bangor players. Meanwhile, the draw for the 1st round of the Steel & Sons Cup was made earlier this evening. The Seasiders have been rewarded with an early chance to test their mettle against a strong Donegal Celtic side on Saturday, 12th August at the Bangor Fuels Arena. Kick-Off time to be confirmed. The winner of this game will have a home tie against Kilmore Rec in the 2nd round on Saturday, 26th August. We are delighted to confirm that Captain Andy Long, goalkeeper Darren Gibbons and defender Gareth Beattie have all committed themselves to the club for next season. 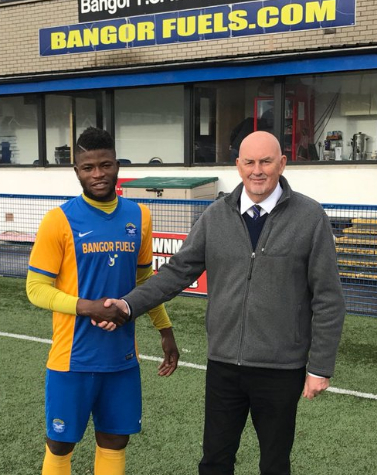 New Bangor boss Hugh Sinclair sat down with Bangorfc.com on Tuesday night to discuss the task in hand of leading the Seasiders back to Irish League Football. "Without doubt this is a different challenge to what I have faced before. Bangor is the biggest club I have managed. I am privileged to be given the opportunity to come on board and take the reins at a club like Bangor. While it is a challenge, I am excited to face up to it. As a club we are where we are and we all need to galvanise, pull together and move in the right direction." "My first team coach will be John Moore while I am bringing Ross Williams in as my assistant manager. 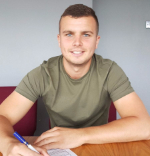 Ross is a former-Bangor player and his appointment might be a surprise to a lot of people but Ross has great people skills and will bring a calming influence to the dressing room." "I am looking for players who want to come and play for Bangor Football Club. I want players to come and grasp the vision here. As a manager I have always looked to get players with a good work ethic and a physical approach to their game. By having a strong spine to the team I can then look to add the creativity which we will need. I am looking to build a squad which is mainly made up of players from the Bangor and north Down area. I believe that the catchment is here to do that without doubt. We have to be honest and at the minute Bangor and Ards are streets apart. I want to close that gap but at the minute, outside of Ards, I want Bangor to be the best option for players in the local area. I watched Bangor a couple of times last season and it was not the Bangor side that I was used to seeing when I managed Knockbreda. The team and club have suffered over the past number of years and I want to put that right. I have an idea of the strengths of some of the existing players and I will be talking to them over the coming days." "My aspirations for this season are to win the Steel and Sons Cup, the league and gain promotion. Those are achievable targets for Bangor and if they were not, I would not be here as the manager. I have always been a competitor and I am confident that I can motivate players and get the best out of them and achieve our objectives." The Ballymena & Provincial Intermediate League..
"We cannot afford to go into this season arrogantly. We will prepare properly and I have somebody who will watch games in the league for me and report back. Bangor will be the big scalp for clubs this season. Clubs will come to our home and covet the facilities we have and as a result they will up their performance and we need to be ready to react to that. I am delighted that we will have a reserve team competing in the Ballymena and Provincial league structure next season. I will be putting together a squad of players who will all want to be playing football. To an extent, if someone is not playing for the first team, it eases the disappointment for them if they are getting a game for a reserve side." "I want our supporters to be themselves. They pay their money to come and watch their team. If things are going well, they will share their opinion. If things are going badly, they will share their opinion. There are no backdoors to me and I will be open and honest with our supporters. I am not going to treat people with disdain and I will make myself readily available to our supporters at any time throughout the season for a discussion with them. I want to build a cohesion and camaraderie right across this club. If the players and supporters can have an affinity with each other ultimately the club will see the benefits."